Versatile storage solution for home or office. 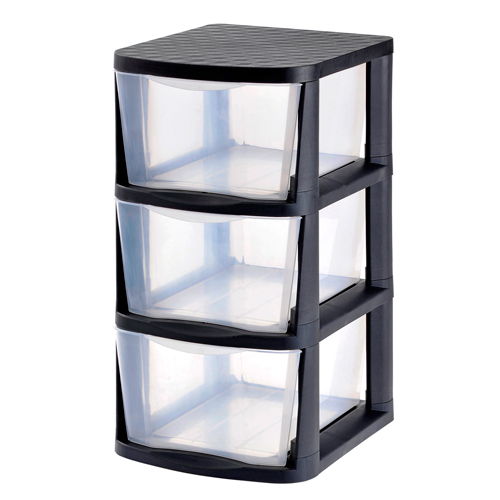 Available in 3, 4 or 5 clear drawer towers. Durable all-plastic frame and drawers will not rust, chip or peel. Three virtually unbreakable pull-out clear drawers to neatly store away items such art supplies, office supplies, tools, toys, shoes, clothing and much more. The clear view drawers allow visibility to see what's inside.